After a bad experience with another web design company, Joel Shoemaker and John Simons didn't know who to turn to for their website. Thanks to a solid reference, they chose Mike Schneider Designs. Since their website has driven additional traffic to their business, they had time to offer only two words regarding the finished website: "Good job!" 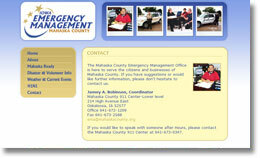 The Mahaska County Emergency Management Agency is used to dealing with emergencies and needed a website designer in such situations that they could turn to. Coordinator Jamey Robinson trusted the referral he got to Mike Schneider Designs and couldn't be happier with the result: "Looks great! You are a master of the web site world!" 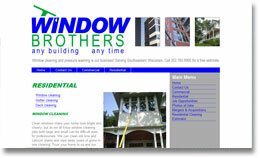 When Window Brothers owner Jason Vance needed a new look for his website, he chose Mike Schneider Designs at the suggestion of a friend, who is another satisfied Mike Schneider Designs client. The end result: Two happy clients. "Mike Schneider Designs has done an excellent job assisting me with the redesign and SEO of my company website." When Uncle Mike and his Polka Band released their new CD entitled Pint Size Polkas Volume One, they needed a website to promote the new recording and facilitate online sales. The result is an attractive design that's easy to navigate and coordinates seamlessly with the Pint Size Polkas brand image. The slogan for item Midwest is "simply the best." This is what item Midwest clients have come to expect, and what owner Tom Dachowski demanded from his website. Frustrated with a design from another company, Tom turned to Mike Schneider Designs. Tom is a busy man with time for just a few words that say it all: "Looks really good, Mike, nice job!" One of Craig Voskuil's first steps into business was contacting Mike Schneider Designs for the design of his new website. Early on, the owner of Indian Creek Foods was impressed by what he saw. "I like your graphic design and the balance of your sites." 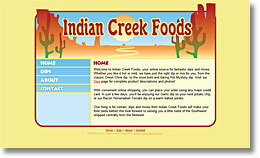 The end result is a website that provides Indian Creek Foods with an affordable e-commerce solution, and their clients with the information they need to make an informed purchase. When faced with the task of revamping an aging website, the Iowa EMS Association sought the talents of Mike Schneider Designs to develop a website based on the look and feel of marketing material recently designed for them. The results? "I was shocked this morning – pleasantly shocked – when I opened my browser. It looks great!" This from IEMSA Office Administrator and satisfied Mike Schneider Designs customer, Angie Moore. 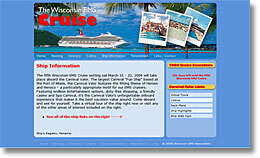 The Wisconsin EMS Association recently decided to redesign their Wisconsin EMS Cruise website. Why turn to an outside vendor when they can turn to the person they trust with the layout and design of their magazine and other printed material? Executive Director Don Hunjadi is a man of few words, but did say this: "I think that it looks real good!" When SEGUES owner Dawn Eyre needed a website that would better address the needs of her target market, she sought the talents of Mike Schneider Designs. "Mike is absolutely wonderful to work with. He has great ideas and goes out of his way to accommodate. 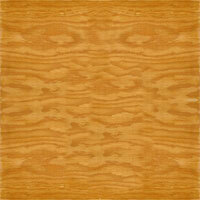 I have recommended Mike Schneider Designs to others and will continue to." 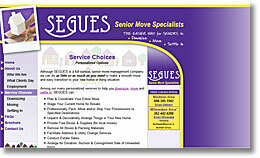 Needless to say, Dawn is pleased with the service Mike Schneider Designs has provided SEGUES. 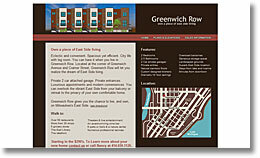 Interested in a site that would provide prospective condominium buyers an efficient and visually appealing experience, Greenwich Row developers sought the experienced team at Mike Schneider Designs to build their website. "We needed a website designer who could work with all of our marketing materials and integrate them into one simple website. 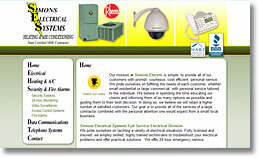 Mike Schneider Designs was invaluable throughout the whole process." 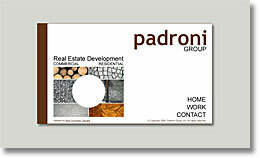 When the Padroni Group needed to touch up their corporate website, they wanted something simple and classy. David Kaiser of the Padroni Group was very pleased with the results: "Mike Schneider Designs has allowed us to have amazing creative control and then simply makes our ideas happen." When Heather Fuerniss decided to start her new scrapbooking business, she knew she could use the power of the Internet to her advantage. And she trusted the professionals at Mike Schneider Designs. 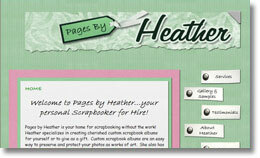 "When people pick a custom scrapbooker, they want to see a variety of their work. I knew that the gallery section of my site needed to be amazing. Mike Schneider Designs built the best one out there - the site is everything I hoped for and more!" 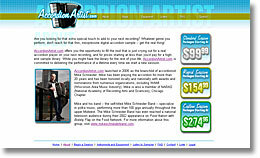 The Accordion Professionals at Accordion Artist needed a site that would facilitate their e-commerce, high-bandwidth needs. Says the company founder, "Mike Schneider Designs made our dream of having a full-service website available to our musician clients a reality. Without Mike Schneider Designs, we literally may not even exist." One of Mike Schneider Designs founder's greatest passions is polka music. When the time came for him to design a website, he wanted to design something that would be both an informational centerpiece for his band as well as a sales device for performances and recordings. 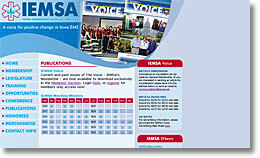 The result is an easy-to-use website that's both attractive and functional. "We are a small family-owned business and they worked within our budget and had many great suggestions - very knowledgeable in website design!" Debi Blazei, My Store owner, couldn't have been happier with the service she received from Mike Schneider Designs in her first Internet business venture outside of eBay. 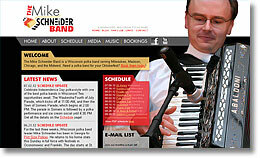 When Baldoni Accordions needed a new website, they sought out Mike Schneider. 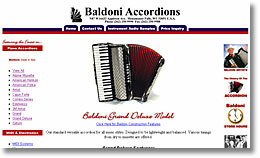 Company vice president Ivo Baldoni says of his new site: "I sell many different kinds of accordions, and I wanted my customers to be able to find each one easily. Mike Schneider [now of Mike Schneider Designs] made it happen."